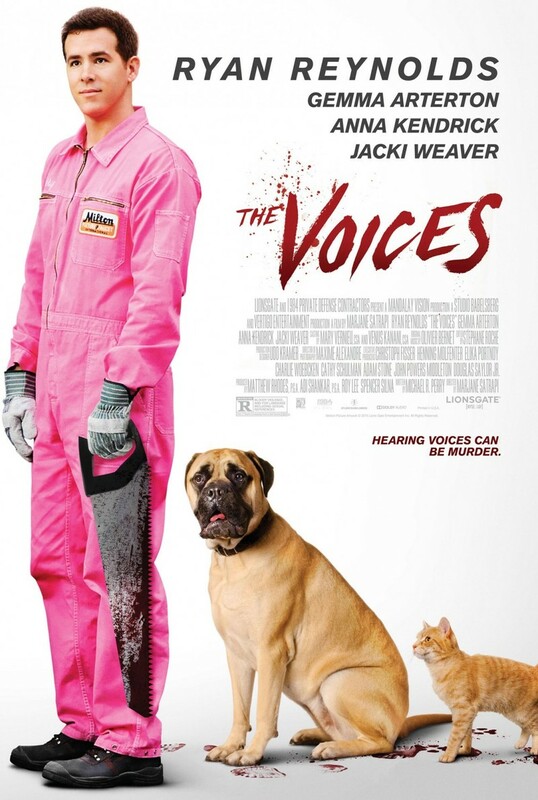 The Voices DVD and Blu-ray release date was set for April 7, 2015. Jerry is a seemingly sweet, lovable soul. He sees the world through rose colored glasses and projects himself to being upbeat and happy. However, Jerry's world is a bit more complicated than even Jerry knows. He suffers from a variety of psychotic disorders. After deciding he no longer needs to take his prescribed medications, he begins to experience oratory commands from a evil cat who is trying to convince Jerry that his destiny is that of a serial killer and a dog who insists to Jerry that his soul is good. When Jerry resumes taking his meds, he is faced with the realization he may have been involved in a neighbor's death. That possibility ensnares Jerry in a mental battle between good and evil.